SOFIA HAS BEEN SOLD. VA Sofia is our multi-national champion 2012 Black 3/4 Andalusian filly. 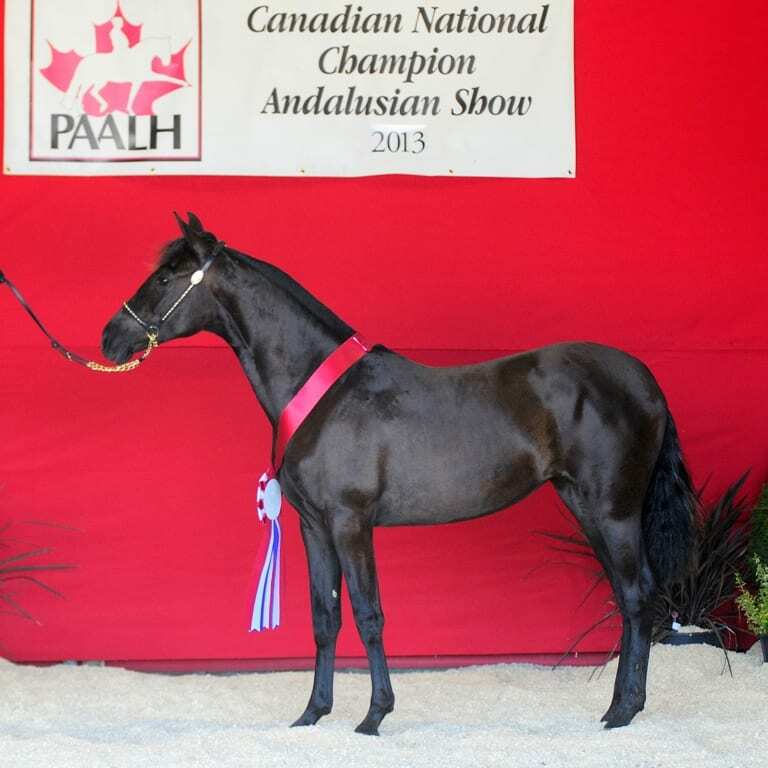 Her sire was our Canadian Multi-national Champion Andalusian stallion, VMF Agosto. Her dam was our much beloved Half Andalusian mare VMF J-lo. Sofia’s Half sister, VMF Gaviota, was the Canadian National Champion Half Andalusian Jr Mare at the very first Canadian National show ever. Gaviota also was the National Champion Half Andalusian Best Movement winner. Well, little sister was not to be outdone! Sofia was the 2013 National Champion Half Andalusian Jr Mare and Gold Medal Movement winner, National Champion Half Andalusian Mare, All Ages – Amateur to Handle, First Place Half Andalusian – Sport Horse In Hand and, last but certainly not least, Canadian National Half Andalusian Supreme Halter Champion. Amazing accomplishments for our sweet little black filly. Congratulations to Dr Dave Ciriani and family on their purchase of our beloved VA Sofia. I know she will have the best home ever and be forever loved !! DEACEASED VMF J-lo was our beautiful 2000 bay Half Andalusian mare. 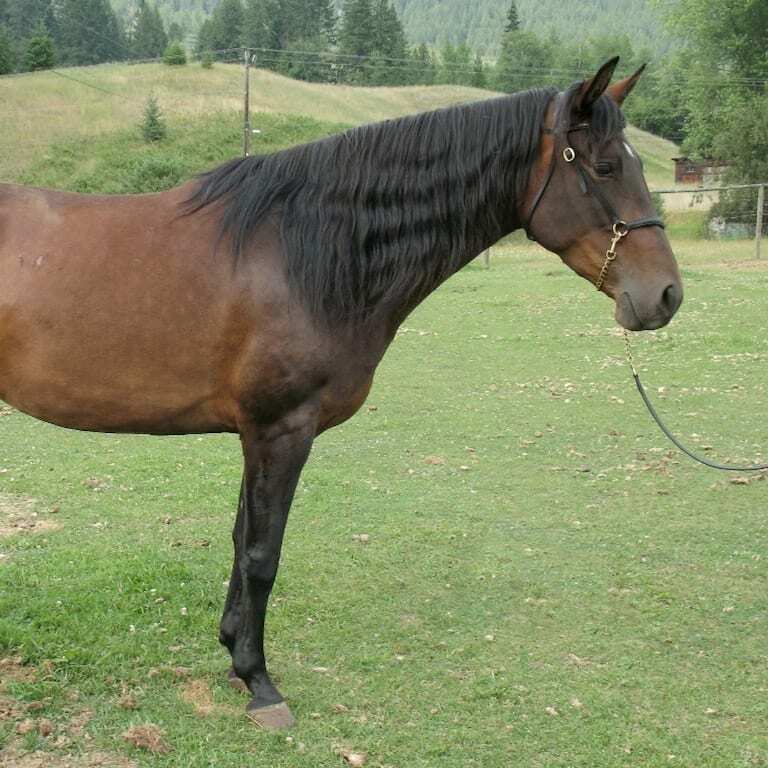 She unfortunately had to be euthanized when she broke an ankle in 2012. She gave us four beautiful babies of which 2 were multi-national champions (VMF Gaviota and VA Sofia). RIP my sweet girl, you will always be loved and missed.